Rover self portrait MAHLI mosaic taken this week has Curiosity sitting on the flat rocks of the “John Klein” drilling target area within the Yellowknife Bay depression. Note gradual rise behind rover. Credit: NASA/JPL-Caltech/MSSS/Marco Di Lorenzo/www.KenKremer.com. 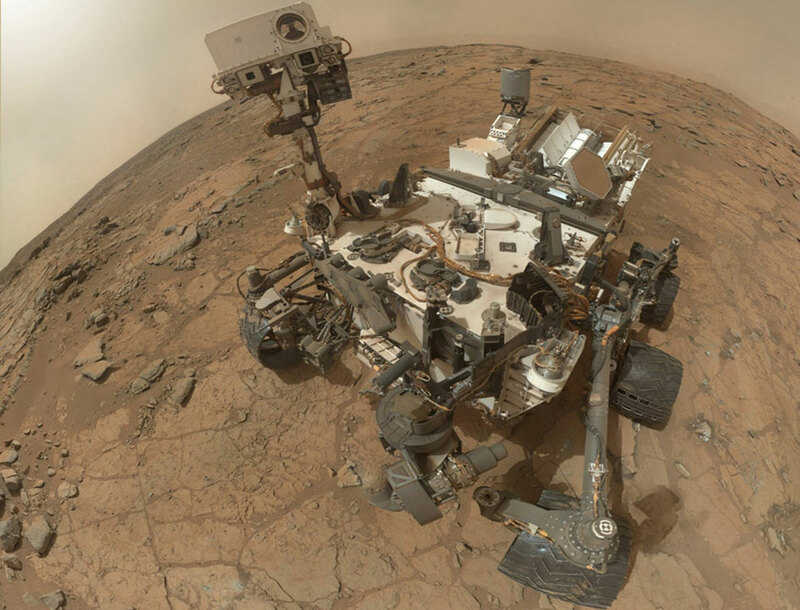 Two powerful laboratories inside the Mars rover Curiosity are being readied to process the first powdered samples of subsurface Martian rock obtained by the rover’s drill during the most complex series of Curiosity operations since its Sky Crane landing last August. But there may be questions about whether the rock characteristics found during an initial shallow “mini-drill” test late February 6 are suitable for deeper drilling and sample acquisition. As part of the laboratory preparation process, the $70 million Goddard Space Flight Center Sample Analysis at Mars (SAM) instrument processed a “blank cell” this week to calibrate the instrument for its first analysis of powered rock coming as quickly as this weekend or early next week if the current target is found suitable. Read more: CuriousMars: Drilling For Martian Secrets – SpaceRef.